Premier League transfer news. 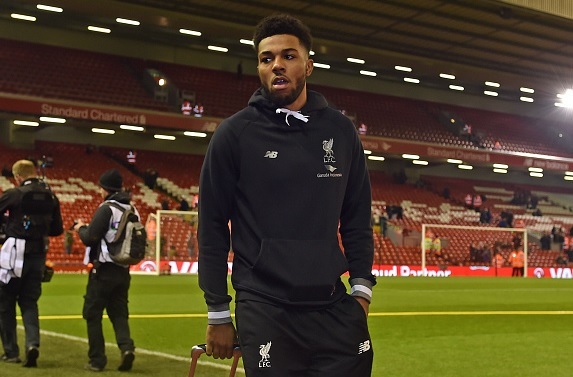 Liverpool youngster Jerome Sinclair is set to leave Anfield Stadium this summer, according to SkySports. Liverpool youngster Jerome Sinclair is set to leave Anfield Stadium this summer, according to SkySports. The reports have revealed that Premier League side Watford have been keeping tabs on the young striker for the past few months and now they are set to seal the deal. Also Read: Arsenal to say goodbye to several players! According to SkySports, the player will be completing his move next month. Sinclair has been struggling at Liverpool as he is not getting enough chances as compared to other fellow mates. Jurgen Klopp has given him few minutes but never gave him the importance he wanted. Sinclair will stay at Liverpool only if they assure him a new deal with more playing time on the field. The 19-year-old still holds record of the youngest player ever to feature for Liverpool. He made the record back in 2012 against West Brom when he was 16-year-old. Fellow youngsters Daniel Cleary and Alex O'Hanlon are also likely to follow Sinclair to the exit door this summer. Sinclair has made five appearances for Liverpool in all competitions since his debut four years ago. Do you think Sinclair is a talented player and deserves chance at first team?